This piece shows the natural pigments that I extracted last year, mostly from plants that were in my surrounding and garden. Birchleafs and willow, dahlia, hawthorn and tagetes and indigo. 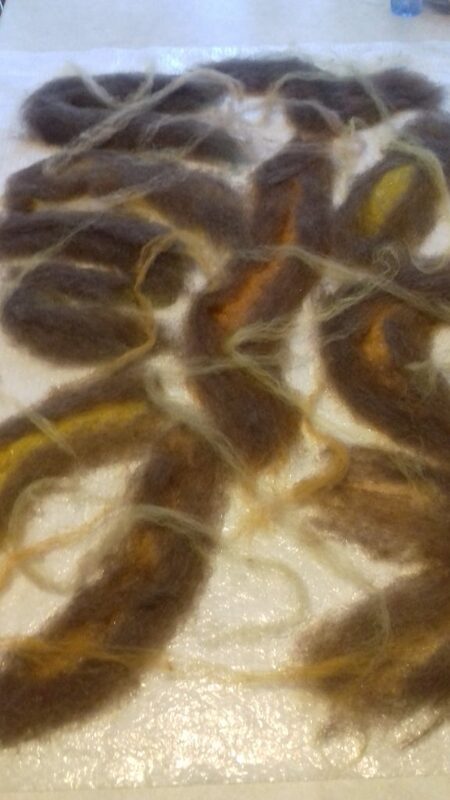 When I saw the dyed wools together it was a reflection of the plants and the dyeing. 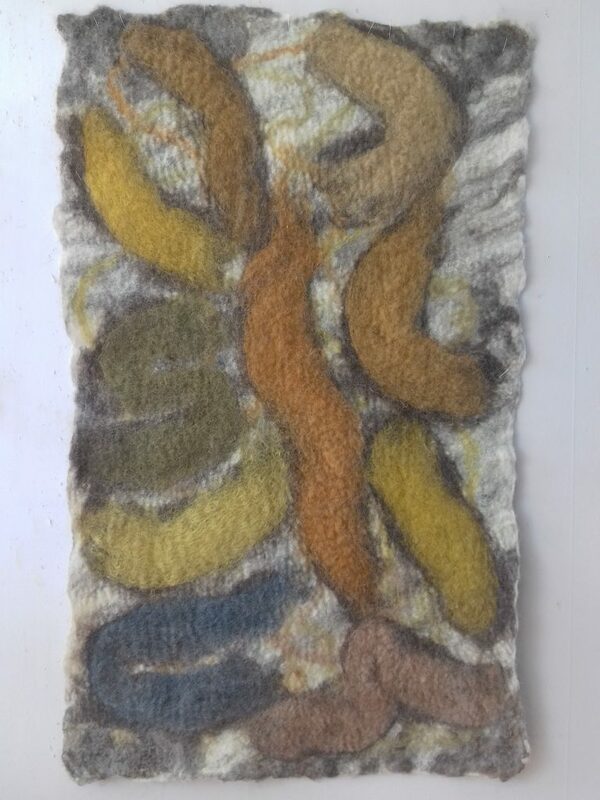 The colors form the palette of this period for me, and I wanted to bring them together in a felt work. 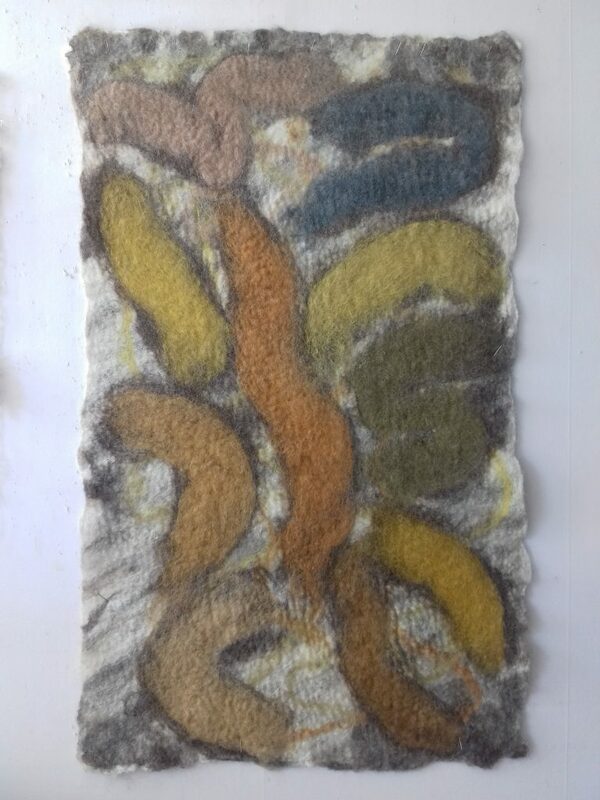 The felt is made laying flat, and sometimes when finished I hesitate what is the upside. 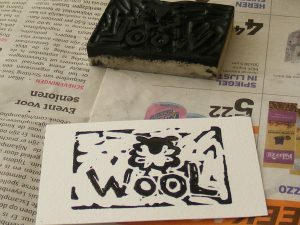 Although I have a an upside in my mind when making, sometimes it turns out just as well the other way!